Summer is the time of best intentions: I will run a half marathon, I will read all those books piled up on my night table, I will take my children to the farmer’s market every week, and I will make sure they know what carrots actually look like when they are pulled from the ground. Sometimes I’m successful. Sometimes I fail. My kids do love going to the farmer’s market every week. They love the fact that it is next to a Starbucks. You’ve probably heard a lot about summer slide in terms of kids not retaining things they learned from the previous school year. When they go back to school in the fall, the idle summer break catches up with them, and there’s a backslide. It puts a strain on teachers trying to cover the current year’s curriculum when they have to review things that the kids mastered the previous year, then promptly forgot when the summer sun melted their capacity to retain it. If you doubt summer slide’s existence, think about something that you did pretty regularly–drive a certain route, knit, make a recipe you knew inside and out–and you haven’t done in a while. Then go try it; it might take you a few tries to get it right (don’t get me started on the knitting; I have 3 baby hats on needles if anyone wants them and can remember how to cast off). There are a lot of opinions about how to combat this, with proposals for everything from extending the school year to giving kids daily homework over the summer. I’m not about to start handing out worksheets to my kids. But reading is the one thing I can and should encourage over the summer, especially for a kid on the cusp of becoming a proficient reader. If nothing else, there’s a level of confidence that builds in readers that I don’t want to lose over the summer months. Yet I also want my kids to enjoy summer. Summer brings its own rhythm. The longer days and warmer air change our mood and our schedules. The delight I feel that first warm day when I can buckle kids into car seats without first bundling them up in jackets and hats is palpable. We eat outside. We slurp watermelon while it runs down our arms. We run around the back yard in pajamas. So why can’t summer reading have that same easy joy? I want summer reading to be, well, like summer. Fun like rolled-down car windows, singing along to a cheesy song on your way to the ice cream store. I’ve seen the incentive programs to get kids reading through the summer, from bookworms (kids get to add a section of a worm that winds its way around a library or bookstore every time they finish a book) to a point system, encouraging kids to read as many books as they can. I love the reward system, but I’m not sure the “gobble and go” is the tactic I would take. Summer has its slower pace, and I’d like to instill that same pleasurable pace to my kids’ reading. So summer is the time when we tackle longer books—with later bedtimes we have time to read chapter books. (I love longer days, but for the love of blackout shades when it gets dark at 9PM it is really hard to get a kid to sleep any earlier.) I love reading chapter books to younger kids. 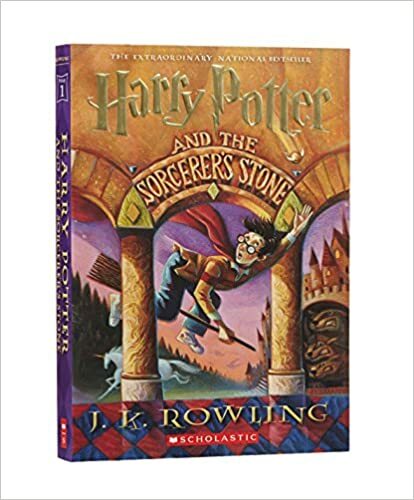 It gives them a meatier story, introduces them to reading chapters, and helps them see that even a book without illustrations can be a fantastic read (which is sometimes a hard sell and a tough transition for readers). 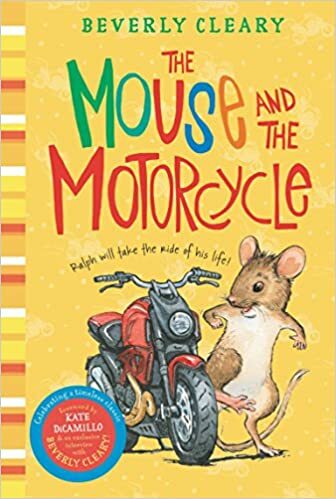 You aren’t looking for books that are a suitable reading level for younger kids since you will be reading these to them; you just want great read aloud stories. We also do more family reading. Instead of reading to each child in his room we read together, sharing stories. We read books on the beach and on a blanket in the grass. On a hot day a cool library is a great place to be, and we are able to take our time exploring the shelves and looking for new things that might spark our interest. The school year in our house, for better or worse, is all about crazy busy schedules. Summer schedules sometimes get thrown out the open windows. Summer seems to also offer more opportunities for us to read together. Longer car rides mean we can bring books to read out loud. A great way to pass the time on a long trip is by passing books around, so every passenger (not the driver, please) takes a turn reading a few pages or chapter. Think of it as reading in the round. Audio books also work really well for car rides, especially if you have a mama who gets car sick reading or kids who aren’t yet reading independently. If you are going on a trip you could bring along a family library. Find a range of books that might appeal to everyone, set them out, and let each child take a turn being the librarian, choosing the book for the night or week. A book then becomes “that book we read when we went to the lake” and holds special memories. Summertime in our house equals outdoor time. How about outdoor reading time? Get out the s’mores, (I have no idea how to make a campfire; we do ours on the grill or in the toaster oven) bring a flashlight and start a summer tradition (for older kids you can do some ghost stories, like Alvin Schwartz’s Scary Stories to Tell in the Dark, which are scary). Can’t go outside? We do Winter Picnics and Rainy Day Picnics inside; spread out a blanket on the floor and go (without the ants). As we all know, parents don’t have summers off and we don’t get a break from being role models. So break out those books you’ve been meaning to crack open. Sit down, grab a glass of something (lemonade, people, I was thinking lemonade!) and show your kids how getting lost in a book is one of summer’s greatest joys. We’re sliding through summer. I just got the schedule for September from school and need to start, according to the million catalogs I receive, thinking about backpacks and replacing the vile-smelling lunch bags from last year. Summer goes fast. These years go fast. 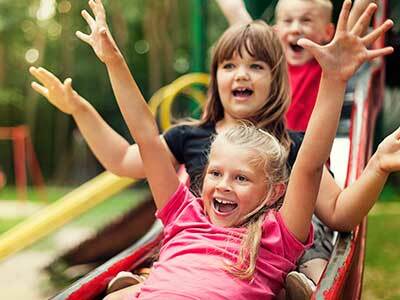 So this summer my goal is to show my kids how to savor it. We’re going to be taking our time, reading some great books and eating delicious tomatoes picked off the vine, still warm from the sun. It turns out you can buy tomato plants. Some Pig. Humble. Radiant. These are the words in Charlotte's Web, high up in Zuckerman's barn. 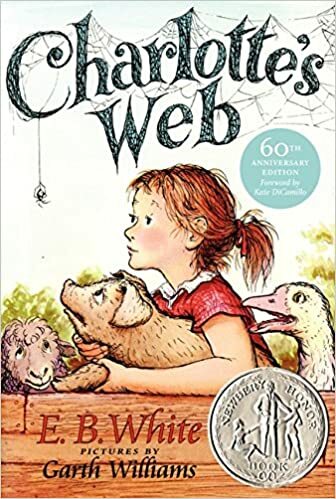 Charlotte's spiderweb tells of her feelings for a little pig named Wilbur, who simply wants a friend. They also express the love of a girl named Fern, who saved Wilbur's life when he was born the runt of his litter. E. B. 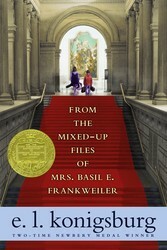 White's Newbery Honor Book is a tender novel of friendship, love, life, and death that will continue to be enjoyed by generations to come. It contains illustrations by Garth Williams, the acclaimed illustrator of E.B. White's Stuart Little and Laura Ingalls Wilder's Little House series, among many other books. 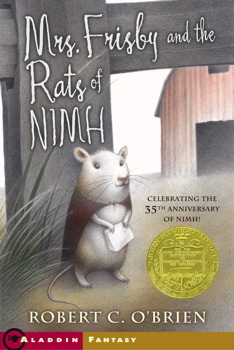 An unforgettable journey as a widowed mouse with four young children (one sick with pneumonia) turn to laboratory enhanced rats to help her move to her summer home before disaster strikes.